The aptly named pale beauty. 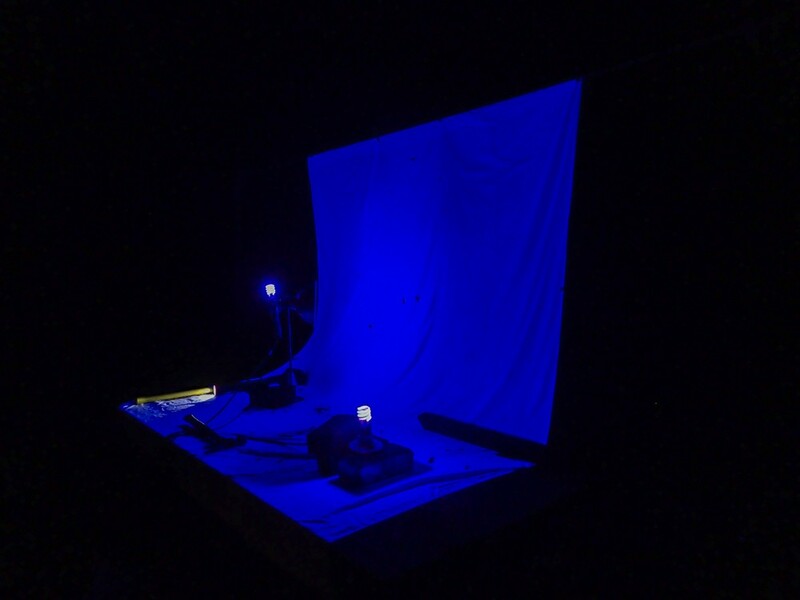 Last week I wrote about setting up a light trap in my backyard with only limited success. At the suggestion of some folks in an entomological chat room, I tried it with black compact fluorescent lights rather than Coleman lanterns. The old gas lanterns give off a great deal of heat and frequencies in the lower end of the spectrum but not much in the high end. A light trap fit for an insect rave. 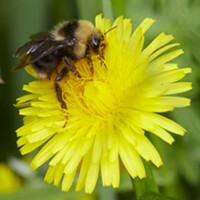 In his research Karl Von Frisch noted that bees couldn't discern between red (low frequency) light and black paper, while they can see farther into the ultraviolet than we can. It is not much of a stretch to figure that other species might be more attracted to higher energy light. I substituted three black light CFLs for the lanterns. It made a significant difference. 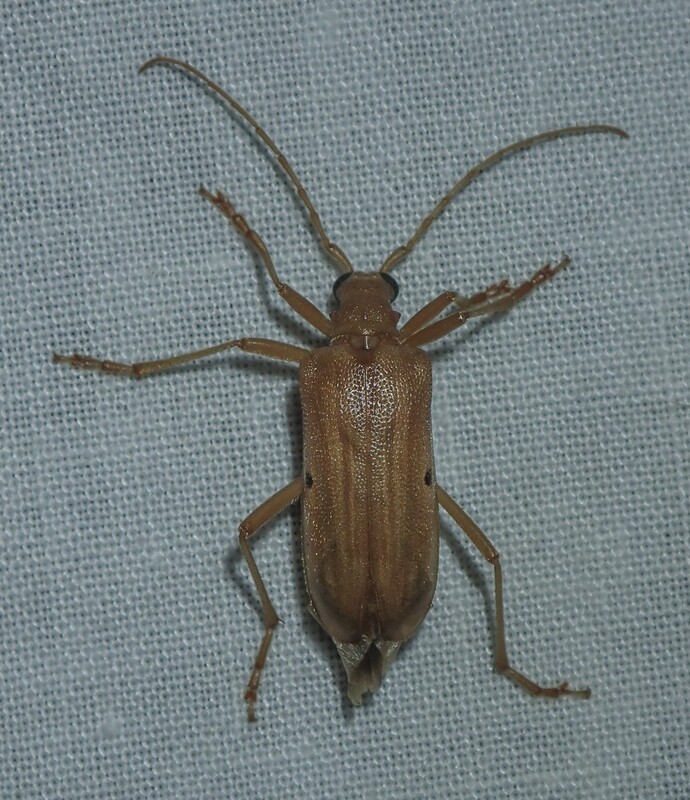 Cerambycid Beetle, a yellow Douglas fir borer (Centrodera spruces). Where I had seen about three to five insects attracted to the lanterns each night, now I attracted 30 or more from several different orders, not to mention species. I was able to capture photos of varieties I've been wanting to talk about but had no photos of. For example, in the past I've posted photos of caddisfly larvae, but had no adult forms to include. 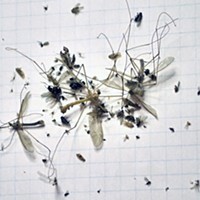 Several (not of the species of which I have baby pictures) came to my lights last night. 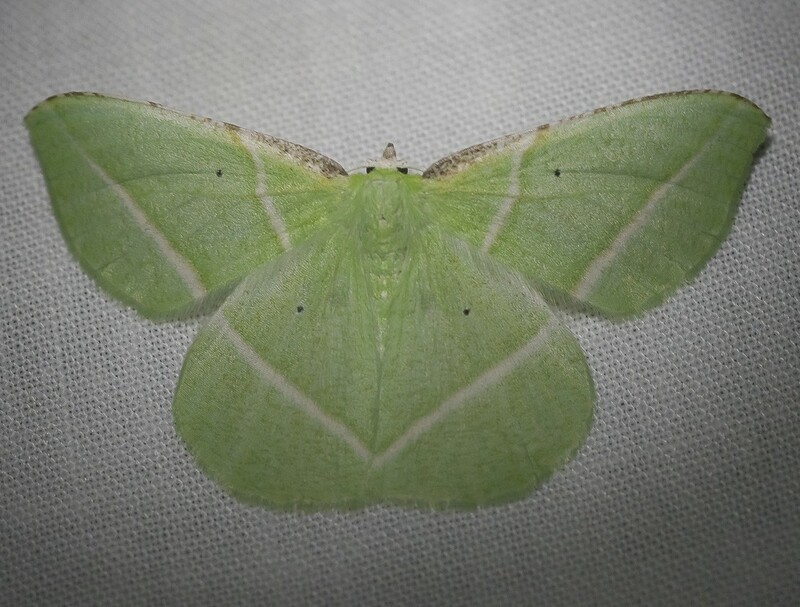 The green “pale beauty” (Campaea perlata), and its tan cousin the omnivorous looper (Subulodes aegrotata) have put in appearances. 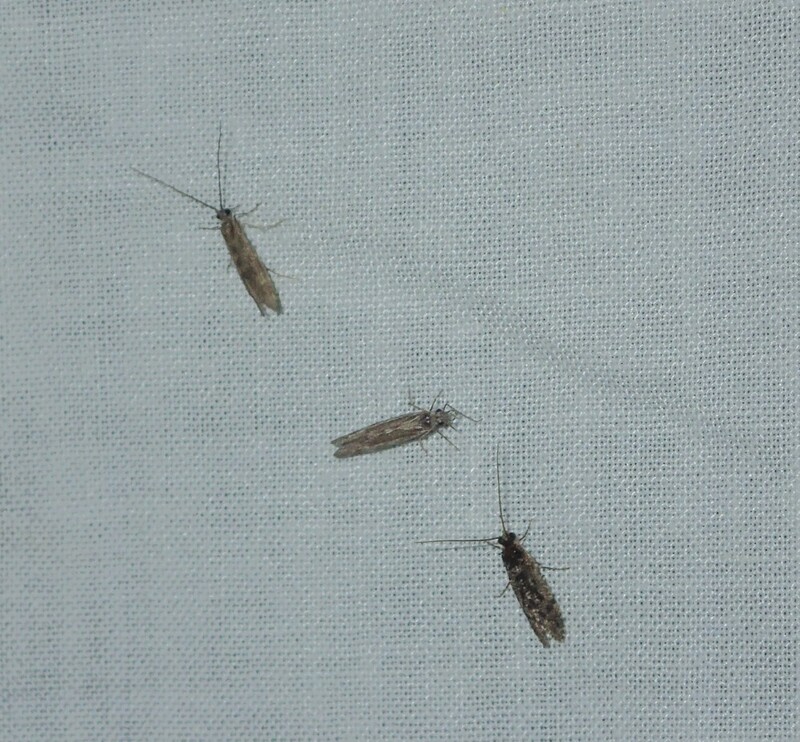 A trio of caddisflies, all grown up. Having said all of that, I remember many more insects that came to the Coleman lanterns when I was a kid. Sadly, back then I did not have any black lights. I will probably be running these lights every night until the weather gets too wet. I am still hoping for a giant waterbug, giant cranefly, or a ceanothus moth. 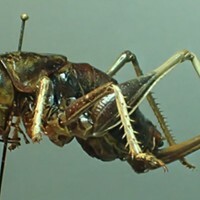 And by the way, after my most recent post the co-author of Insects of the Pacific Northwest, Peter Haggard was kind enough to do an identification of the giant lacewing I included in my post. It is Polystoechotes punctate.